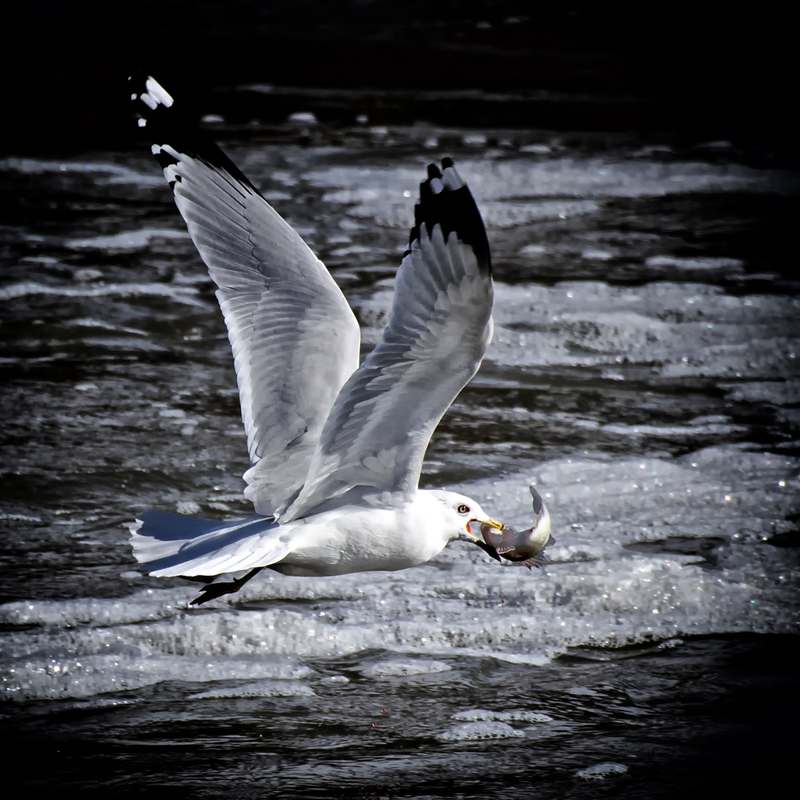 This was one of over 1000 shots taken while my photography friend was shooting eagles just down the river - my lens and shaky hands couldn't get a good eagle shot so I went to the dam and tried the gulls. I need to thank members of my photography club for telling me to submit this shot - it was not the one I would have picked but obviously they know better than I.
I'd like to thank all of the voters for putting me over the 7.0 mark - never, ever thought I would get this kind of score! Two ribbons in one day - I've been on a high all week - time to come down now and stop with the update button. This was one of my two favourites - glad it got a ribbon. Gorgeous shot! Congrats on a wonderful image; beautiful. Wowzers! Incredible! Congrats, I can't believe you weren't going to enter it! Congrats with your well deserved 2 ribbons! Must have been an exciting week. Wow, great timing. Congratulations on your yellow ribbon. Congratulations on the yellow ribbon and your new PB! (Well, your 2 new PBs!) Extraordinary achievement, and beautiful work. WOW, fancy getting two ribbons in one day, WTG! One of my favorites - there's a lot of stopped motion here, and all of it works superbly independently and together. Good luck! An excellent capture somewhat muddled by the clarity of the sea. Still, very good. Wow! Hoping to see this with a ribbon,I can even see the blood drops from the fish stopped in mid air. the gulls eye is nice and sharp, good detail on the bird,very well done. Proudly hosted by Sargasso Networks. Current Server Time: 04/23/2019 08:14:14 PM EDT.